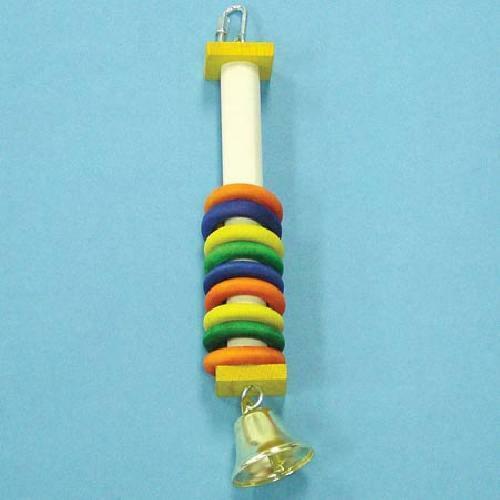 Bird toys are critical to your birds physical and mental well being. In the wild the birds have many objects in which to play with and explore. We recommend playtime and supervision for your pet's safety and to rotate toys frequently for variety and keep bird's interest high! This item has Red wood disk top and bottom, on a wood dowel and 9 colored plastic disk of orange, yellow, blue, red, purple and green with a brass bell.